Theoretically, if virtual assets are properly safeguarded, they are basically as secure as keeping gold in a vault. However, properly safeguarding virtual assets is not necessarily easy, especially for the non-tech savvy. 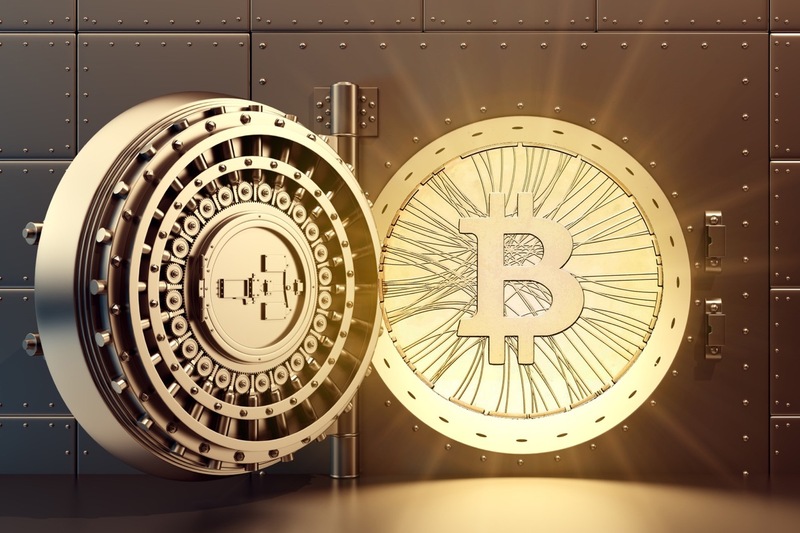 To keep one’s cryptocurrency as safe as gold in a vault, one must store their coins offline, either in a paper wallet, or a device that is not connected to the internet. However, to do securely, one must take necessary precautions such as ensuring one’s computer is free of malware, downloading an offline paper wallet generator, and disconnecting from the internet before generation. To the tech-minded, this may seem a simple feat, however, ask yourself—would it be a simple feat for your parents? Your grandparents? Perhaps, but likely not, and the high technical barrier to entry presented by cryptocurrency might prevent interested investors from entering the space. Shouldn’t those individuals and institutions have access to virtual currency without needing to be IT specialists? The truth of the matter is that digital assets are only as secure as we make them—exchanges can be hacked, private keys can be stolen—some investors might not want to expose themselves to those risks, especially if they are not particularly tech-savvy. Shouldn’t those investors have the opportunity to engage with cryptocurrency, even if it is through a trusted third party? While it does introduce some level of centralization, the fact is that for many people, trusting a third party is actually more secure than being their own bank. The problem of custody is a significant hurdle to institutional investors who have to follow industry-standard custody practices. Goldman Sachs, which recently announced that they will be offering derivatives contracts based on Bitcoin to their clients, has stated that in order to trade Bitcoin itself, the firm would need to find (or, perhaps, pioneer) a custody solution that was up to Wall Street standards. The Investment Advisers Act of 1940 requires that investment advisors maintain their clients’ assets with “qualified custodians” such as a bank or broker-dealer. For investment advisers looking to trade and store cryptocurrency on behalf of their clients, they would have to ensure that the firm providing custody of those digital assets met the necessary qualifications. At the moment, no such qualified custodian exists. Coinbase Custody offers financial controls such as multiple signers, audit trails, and transaction limits. The service supports all major digital currencies and ERC20 tokens. BitGo, the company that offered the first multi-signature Bitcoin wallet, is another firm focused on delivering a custody product to institutional investors. At Consensus 2018, I interviewed Ben Chan, the CTO of BitGo, about their custody services. State Street, the U.S. custody bank, stated in January that it was considering expanding its asset management services to include popular digital assets such as Bitcoin and Ether. The push for the financial institution to enter the crypto-space as a custodian comes from the bank’s clients who wish to diversify their holdings to include cryptocurrencies. This custody hurdle is one that must be overcome to allow an influx of institutional capital into the crypto-space. Whether it will be veteran crypto startup like Coinbase or BitGo that develops the solution, or whether it will be a traditional financial institution like Goldman Sachs or State Street, remains to be seen.